July is almost over, but that doesn't mean summer is! 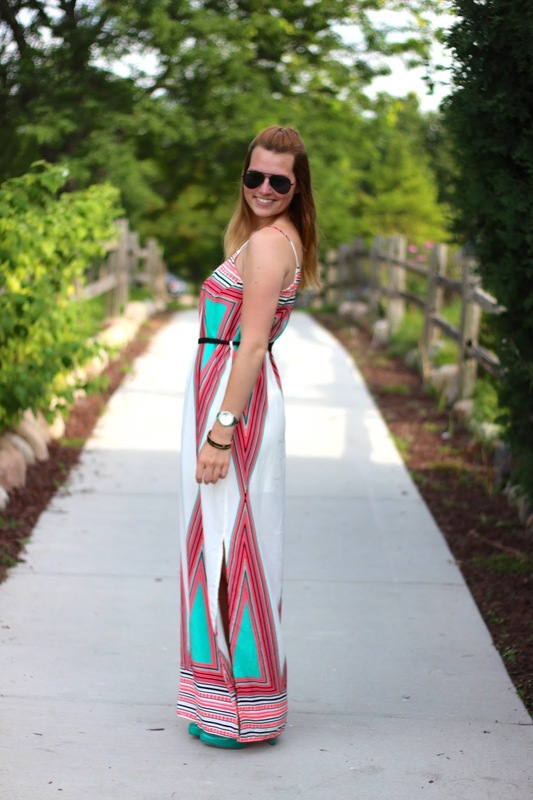 I love this bright maxi dress, the colors and design just scream summer! It is from one of my favorite shops; Greige Boutique (it's currently on sale for under $25!). The fabric is light and flowy, and it has a lining underneath so it isn't see through. I love the slit on the side so you can show off the shoes you are wearing. Of course it being a maxi dress, it will be getting a ton of wear for the rest of summer!